Includes your last name on the back! 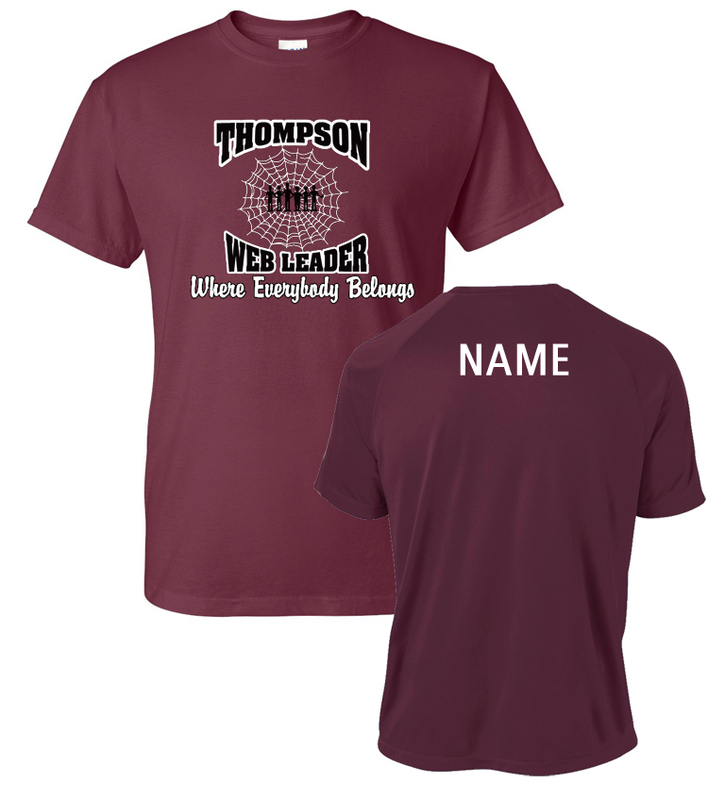 The Thompson Middle School Web Leader short sleeve tee is a 50/50 cotton/DryBlend polyester jersey knit blend. Preshrunk for minimal shrinkage. Your last name is included. Be sure to enter your last name in the shopping cart text box. Select Size and Enter your LAST NAME in the cart text box. Orders cannot be processed if last name is missing.